Grayhound is a family story, built by its captain,, Marcus and Freya Pomeroy in 2010, on the plans of a former three-masted lugger. They were then joined by their son Malachi, born during the project. Grayhound measures 21 meters at the hull. She regularly makes crossings between Cornwall and Brittany. 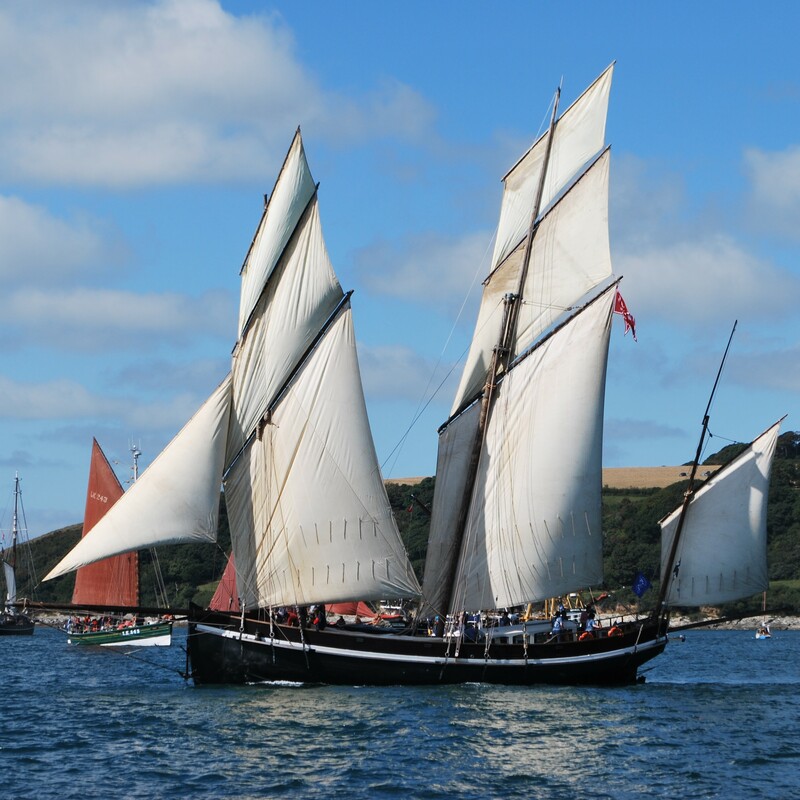 The Grayhound lugger is one of the main actors of the "Channel Sail Route" European project. All the charm of an old rigwith comfort comfort and more. An exceptional experience with your hosts Marcus and Freya, captains of the ship. One-way or return trip from France or England. Be part of a unique sailing experience! BRITTANY - ISLES OF SCILLY Spring sailing cargo voyage ! Kick off the year sailing along the beautiful Brittany coast, across the Channel to the Isles of Scilly, delivering wine to local restaurant "Dibble & Grub" then onward to Falmouth and Plymouth. Experience dolphins swimming under the bow, night watch moon and stars. This voyage includes night sailing, rowing, working in a watch system with your fellow shipmates. Great food cooked fresh onboard. Wine tasting and visit of Douarnenez's maritime museum included. If you come back on your own, we suggest that you book a ferry for the return journey. Schedule : Departure planned at 2pm with an arrival at noon. BEER RUN TO BRITTANY. Sail cargo on the 'Johnny route'. 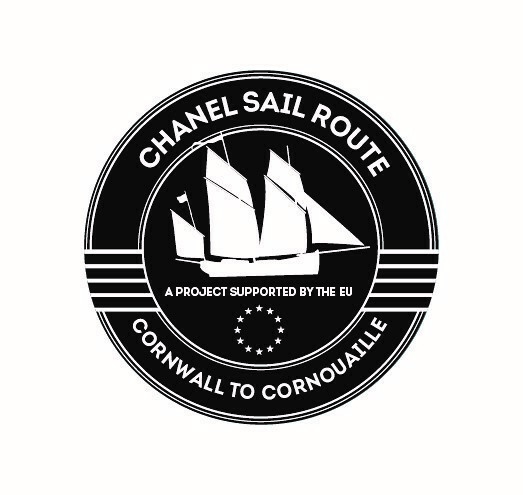 Sail 5 tonnes of West Country organic beer to France stopping in Dartmouth, Falmouth and Camaret after crossing the Channel. This voyage includes night sailing, rowing, working in a watch system with your fellow shipmates. Great food cooked fresh onboard. Wine tasting included. This trip includes the loading and unloading of the goods, a night crossing of the English Channel, a wine tasting as well as a visit of the maritime museum of Douarnenez. If you come back on your own, we advise you to book a ferry back. OCEAN SAILING TO MADEIRA. After loading cargo of wine and olive oil in historic Porto we sail 703 nm west in the Atlantic ocean. Approx 5 days sailing and when we arrive in the marina in Madeira we can trek along the Levada canals of the Eastern island and visit Funchal town and market. This is a working holiday for the adventurous and intrepid. OCEAN SAILING TO AZORES. We leave Madeira straight away for the 673nm journey to the Azorian archipelago. We visit Sao Miguel to pick up a cargo of tea and visit this stunning island with thermal water pools and blue lagoon lakes. Spotting whales as we sail on to Faial past the towering volcano island of Pico. From Faial we can bike, walk and visit Pico island too. OCEAN SAILING AZORES - BRITTANY. Arrive on the green mid Atlantic island of Faial and join the crew will be preparing the last leg of this summer's Portuguese circuit. We will show you a bit of Faial before we leave , hiring bikes and descending the volcano at the top of the island down through the forest and villages back to the port. Get a taste for Horta and Azorian life before we depart for our 9-10 day passage back to France. This is a working holiday for the adventurous and intrepid. You will be sailing in a watch system throught he days and nights. You need to be good at living and working as part of a team and be physically fit and well and mentally strong as this voyage is longer than the other ocean passages this summer. Book all 8 berths and the 8th berth goes free.